The following players are recognized for exceptional seasons at the Division I level. Keep in mind these players are selected based on regular season play not post season performance. Due to number of teams and the talent spread, I've decided to select three teams of 3 Forwards, 2 Defensemen and 1 Goalie. Check back tomorrow for D1I's Second Team. 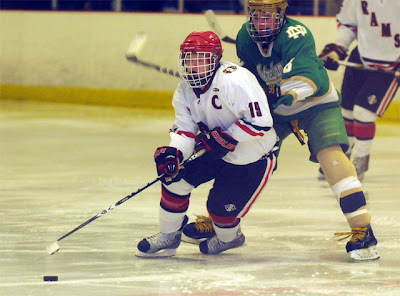 Zullo finished quite the career at NDWH with a state championship at both the baseball and hockey ranks and a member of NDWH's 100 point club after a 40 point (14 G, 26 A) senior campaign. An underrated forward, Connor Henry made the most of his senior year. Henry played on one of the most talented lines in the state flanked by David White and Nick Bargiello. Henry finished the season with 39 points (16 G, 23 A). One of the grittiest, hardest working players in the state, Stanton is also blessed with exceptional speed. Stanton did his best to make New Canaan relevant this year and led the Rams in scoring. Dupont will be sorely missed on the blue line for Xavier moving forward. 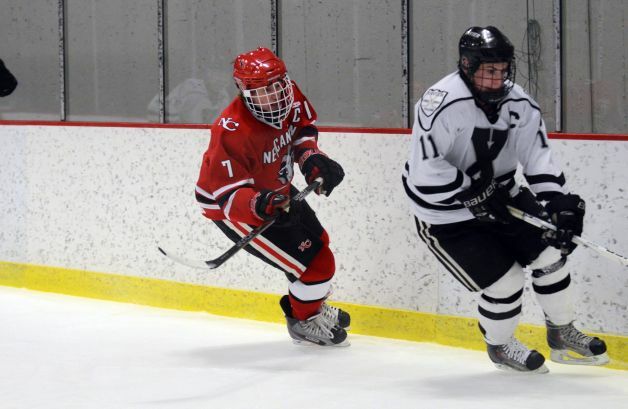 One of the best stay at home defensemen in the state, Dupont anchored a young group that relied on his leadership. A physical force, Iannotti also contributed to the scoresheet this season. Iannotti finished with 17 points (6 G, 11 A) from the blue line including his first career hat trick. Iannotti will play for the Hartford Jr. Wolfpack next season. Gabor had a down season by his standards after losing some top line talent last season. Gabor was my first team goalie last year but still was able to post a 1.87 GAA and two shutouts this season for the under gunned Tomahawks.